Pictured: HSV GEN-F2 Limited Edition SV Black. Australia’s leading performance car manufacturer, HSV, today announced a return to its “R8” line-up of the 340kW, 6.2 litre LS3 V8 power-plant, in the form of a limited edition “SV Black” range. To be offered in both ClubSport R8 and Maloo R8 guise, not only will this be the first time HSV has offered a limited edition SV Black range since the 2011 E Series 3 based model, it will also be the first time the LS3 engine has been available in the GEN-F2 “R8” range. Styling is based off the current supercharged ClubSport R8 LSA and Maloo R8 LSA models introduced last October, but with unique SV Black features including Satin Black 20” alloy wheels, black AP Racing forged 4-piston brake calipers, black door surrounds and lower door accenting, shadow-chrome exhaust tips and distinctive black badging. These features, complemented by pitch black fender vents and mirror scalps and a Satin Graphite Lo-line spoiler on the sedan, combine to deliver an even more distinctive and aggressive styling edge. “We know, from experience, that our customers really connect with the SV Black styling theme”, said HSV’s Chief Designer, Julian Quincey. “The visual enhancements we’ve introduced with the GEN-F2 SV Black range really dial-up the vehicle’s street presence, and we’ve no doubt this range will emulate the success of the last SV Black”, he said. Interior styling also mirrors the supercharged models but with leather-clad sports bucket seats and unique sill and I.D. plates. Each vehicle will also be individually numbered to ensure its exclusivity. With production due to commence in June, Recommended Retail Prices will start at just $62,990 for the Maloo R8 SV Black and $65,990 for the ClubSport R8 SV Black, offering unprecedented value. 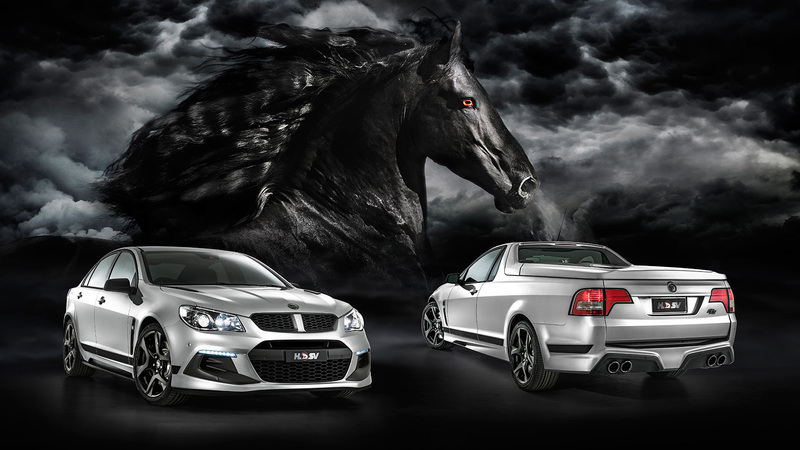 “These SV Black models represent the very essence of all that is HSV - great value performance cars. They will, quite simply, be the best value limited edition models we’ve ever offered”, said HSV’s Managing Director, Tim Jackson. But buyers will need to be quick as production of the limited edition SV Black range is being restricted to just 350 ClubSport R8’s (plus 18 for New Zealand) and 100 Maloo. R8’s (plus 2 for New Zealand). And, as one of the last three LS3-powered limited edition models HSV will build before production of this engine variant ceases at the end of October, demand is sure to be strong.